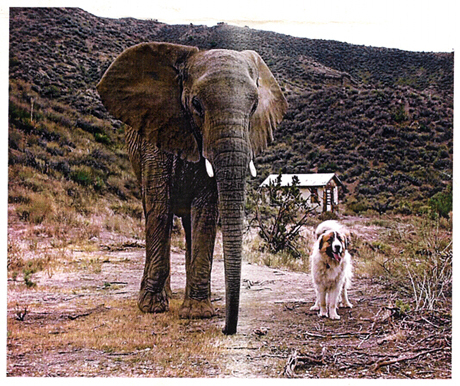 Titus de la Tierra Alta and elephant friend at the Animal Compound, Southern Calif. Many of these animals are used in show business. With thanks to C. Pollard for the photo (animal trainer). Click here to view more photos of Titus with other friends at the Animal Compound.